(Bloomberg) -- Robert Mueller’s job may be done, but President Donald Trump still faces potential legal peril from many sides. Mueller wrapped up his investigation without adding to his tally of indictments, welcome news for members of Trump’s family and inner circle. However, Mueller could have referred active investigations to other federal prosecutors, as he did with the inquiry of Cohen. For all of Trump’s tweets railing against Mueller, the potentially more dangerous investigation for the president is one run by federal prosecutors in New York. Among topics they’ve pursued are campaign-finance violations and misleading public statements about the Trump Organization’s business pursuits in Russia during the 2016 presidential campaign. That investigation appears to have been spurred by the prosecution of Cohen, Trump’s longtime personal lawyer. After the FBI raided Cohen’s home and office, he admitted that Trump directed hush payments to women claiming sexual relationships with Trump, and he agreed to cooperate with prosecutors. Those payments could be considered illegal campaign contributions if they are found to have aided Trump’s candidacy. The investigation could strike at the heart of Trump’s business, because prosecutors in New York are looking at whether others at the Trump Organization might have broken campaign-finance laws. In testimony to Congress, Cohen named three top Trump Organization executives who might know about potential insurance or bank fraud at the real-estate development company. He also said he was unable to discuss certain other topics related to Trump’s business because of his assistance with active investigations by federal prosecutors in New York. Federal prosecutors in New York are also looking at whether foreign money was funneled into the president’s inaugural committee in violation of the law. They’re examining allegations of money laundering, false statements and fraud, including suspicions that service providers were asked to accept off-the-books payments directly from financial donors, two people familiar with the matter have said. Prosecutors in Washington have already secured one conviction in a prosecution spun off by Mueller’s team. 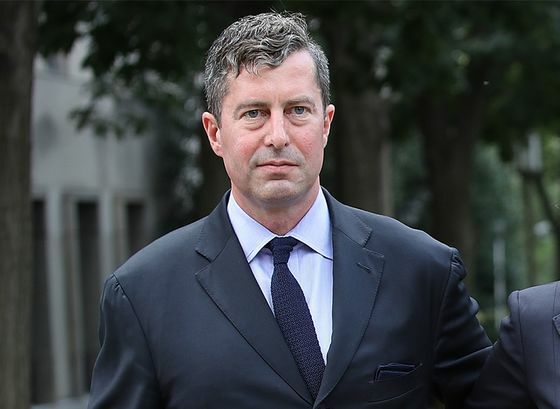 As part of a plea agreement, Sam Patten, a Washington lobbyist and associate of former Trump campaign chairman Paul Manafort, admitted helping a Ukrainian oligarch obtain an inaugural invite by funneling a $50,000 contribution through a straw donor. No evidence has surfaced publicly that Trump knew of any foreign donations. The New Jersey attorney general has sent a separate civil subpoena to the committee, ABC News reported. Trump also faces a legal battle that is beyond his reach as head of the federal government’s executive branch: The state of New York alleges in a civil action that he used his personal charity as a checkbook for political and business aims. In December, the Donald J. Trump Foundation agreed to go out of business to resolve part of the legal dispute brought by the state’s attorney general, who says the foundation and the Trump presidential campaign coordinated with each other illegally. The lawsuit names not only the president but also his eldest sons, Donald Jr. and Eric, and his daughter, Ivanka. The New York attorney general may not be the only authority scrutinizing the foundation. When the office went public with its case, it said that it had sent letters of referral to the Internal Revenue Service and Federal Election Commission for further investigation of possible crimes. The agencies haven’t commented on whether they have opened investigations. An answer could come by way of Roger Stone, a longtime Trump ally and early campaign staffer. Mueller has charged Stone with crimes including lying to lawmakers about his interactions with WikiLeaks before it released Democratic National Committee emails stolen by state-sponsored Russian hackers to embarrass Trump’s opponent, Hillary Clinton. Mueller’s prosecutors say Stone was directed by members of Trump’s campaign to contact WikiLeaks as it was releasing the hacked emails. Cohen testified that he overheard a phone call in which Stone gave Trump advance word that WikiLeaks would soon release hacked Democratic emails. 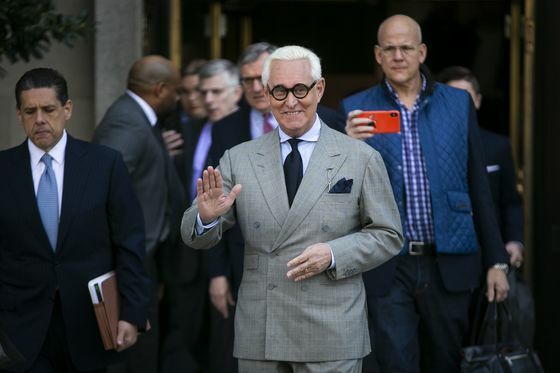 Stone has pleaded not guilty to Mueller’s charges and vowed not to cooperate, but the case could still yield information about possible coordination between the Trump campaign and Russia as the prosecution proceeds. “Russia, if you’re listening, I hope you’re able to find those 30,000 emails,” Trump said at a televised campaign rally on July 27, 2016, referring to missing Clinton messages. Hours later, Russian intelligence agents waged a computer attack on the Democrats, prosecutors say. Now, Trump says it was just a joke. “I’m laughing, we’re all having fun,” he told a conservative conference on March 2. But the national security division of the Justice Department is still pursuing a dozen Russian intelligence agents charged with carrying out the attacks. That inquiry could reveal more about the scale of Russian efforts to help Trump, including whether Trump himself had any knowledge of those activities. House Democrats are cutting a wide swath in their oversight and investigations of Trump and his administration’s activities, underscored by the sweeping document requests by the House Oversight Committee to the White House and multiple federal agencies. Lines of inquiry include whether any foreign actor has sought to compromise Trump or the people around him and whether Russians were laundering money through his business. They also include Deutsche Bank AG’s years-long business dealings with Trump and his family, Trump’s unreleased tax returns, the White House’s practices in approving security clearances and payments to Trump-owned properties from foreign governments. Family and friends. Donald Jr. and the president’s son-in-law, Jared Kushner, participated in a now-notorious meeting at Trump Tower in New York in the summer of 2016, in which a Kremlin-linked lawyer professed to offer dirt on Clinton. The lawyer was also seeking an end to U.S. sanctions against Russia. Trump himself helped draft a misleading statement about the meeting, saying it dealt with American adoptions of Russian children. Even if Mueller’s report doesn’t implicate the president directly over the statement, congressional Democrats are certain to explore the matter further. Moscow pursuit. Cohen admitted that he lied in congressional testimony to stay consistent with Trump’s claim that his company stopped pursuing a Moscow high-rise project before the start of the 2016 presidential primaries. In fact, Cohen said, the talks went on until June 2016 -- by which time Trump had all but locked up the Republican presidential nomination and Russian operatives were already trying to bolster Trump’s presidential prospects with computer attacks on the Democratic National Committee. 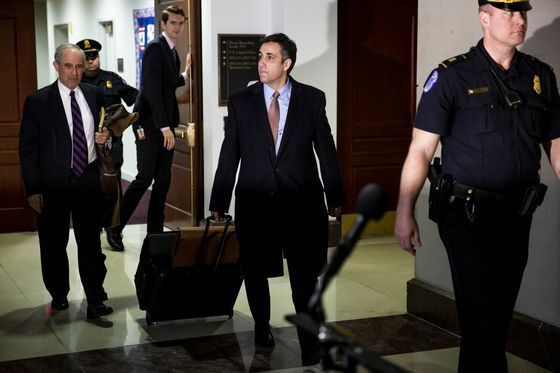 Trump and others in the Trump Organization were aware of the pursuit of the Moscow tower throughout, Cohen said as part of his guilty plea, adding that he talked to Trump about traveling to Russia for the project, a trip that didn’t ultimately materialize. Saudi alliance. The House Oversight Committee is investigating the Trump administration’s ties to Saudi Arabia, including whether members of his administration pushed for a Saudi nuclear plan over security officials’ objections. The deal might have benefited associates of Michael Flynn, the former Trump campaign official and national security adviser who has admitted that he lied about his contacts with Russians. Mystery witness. News reports and court filings have provided glimpses of an effort by Mueller to get information from an unidentified foreign company. The company resisted Mueller’s requests for information, but then the U.S. Supreme Court upheld an appeals court order fining the company $50,000 a day for failing to comply with a grand jury subpoena. Campaign links. Did the Trump campaign coordinate strategy with the Russians to gain an electoral advantage? Mueller’s case against Manafort, the former Trump campaign chairman and consultant to Ukrainian politicians friendly with the Kremlin, contains potential clues. Mueller’s filings black out most sections that appear to detail Manafort’s interactions with Konstantin Kilimnik, his longtime fixer in Ukraine who U.S. authorities believe has ties to Russian intelligence. But a recent filing that was redacted badly revealed the Mueller team’s suspicions that Manafort shared internal polling data on the 2016 election with Kilimnik. The disclosure suggests that one part of Mueller’s probe focused on whether Kilimnik may have served as a back channel through Manafort to Russia during the election. Mystery lender. An unidentified benefactor lent more than $1 million to Manafort’s family through a Nevada company just as his legal battles were beginning. Mueller wants a court to force the company to reveal the initial source of the money.